The physician assistant surgical residency is an intensive 13-month program administered by the department of surgery at Duke University Medical Center. PA surgical residents are members of the surgical team and are involved in preoperative, intra-operative, and postoperative patient care. The PA residency is designed to provide both advanced didactic education (one month) and a focused, surgical clinical experience (12 months) so that trainees and graduates will have the skills to provide high quality perioperative patient care. Learn more about our curriculum. 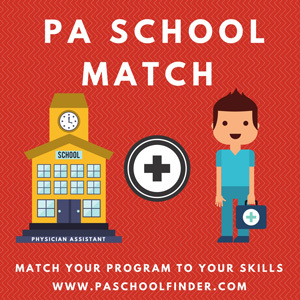 The PA residency is attractive both for new PA program graduates who are planning a surgical career and for practicing physician assistants who wish to redirect their careers toward one of the surgical specialties or enhance their knowledge and skills through post-graduate education. Upon successful completion of the program, a certificate will be awarded from Duke University Medical Center and the Duke Department of Surgery. The Duke University PA Surgical Residency Program has been awarded full accreditation by the ARC-PA as of September 10, 2008. The PA profession originated at Duke in the mid 1960s. Dr. Eugene A. Stead Jr., then chairman of the Department of Medicine, believed that physician assistants could increase consumer access to health services by extending the time and skills of the physician. His vision, guidance, and influence were instrumental in founding the Duke PA Program, which continues to flourish as one of the premier PA training programs in the country. To prepare exceptional healthcare professionals for leadership and evidence-based practice within a collaborative delivery model through student-centered programs that offer cutting-edge curricula. The Department of Physician Assistant Studies provides education in medical knowledge and skills needed by individuals to serve effectively as mid-level practitioners with a special focus on meeting the needs of underserved populations. To educate competent, compassionate, and culturally-aware Physician Assistants who are prepared to meet the healthcare needs of our community. Graduates will advance the Physician Assistant profession through clinical excellence, service, and dedication to lifelong learning. The Program seats students at the Barry University campus in Miami Shores, at St. Petersburg College, through a partnership with the University Partnership Center, and at the St. Croix campus in the United States Virgin Islands. The faculty teaches from each site via interactive videoconferencing. Applications to any campus are processed through the Central Application Service for Physician Assistants (CASPA). The York College Physician Assistant program seeks to recruit and educate students from the diverse surrounding communities to become highly competent, compassionate, and culturally aware providers of excellent medical care to underserved urban areas. Incorporated in our mission is a priority on increasing access to medical professional education for racial and ethnic minorities, financially disadvantaged students, and first-generation college graduates. Our program is committed to providing strong supports so that we may also expect high performance from our students.